If you use your .edu email, then you can get Amazon Prime at a student discount with Amazon (free). Because you get free shipping as a Prime member, I end up just buying most of my odds and ends on there because it ends up being an easy way to save money. If your school uses Blackboard, then you might as well download the Blackboard app (free). If you turn on the notifications, it'll let you know whenever your professor uploads a document or sends out an announcement. Just so you never miss a due date. Chegg (free) is my favorite place to rent or buy used books from. They always have great prices and send you little freebies with your books! Dropbox (free) is a necessity to keep all of your papers safe. If I write a 26 page research paper, you can bet that I'm uploading it to dropbox just in case something happens to my computer. Evernote (free for basic; 50% premium for students) is the BEST note taking app! Ever! I've been using it since my freshman year of college. I practically wrote a whole post over why I think you should switch from Word to Evernote. No Fitbit tracker? No problem if you have an iPhone 5 or newer and Fitbit (free). Just go to Account > Set Up a Device > MobileTrack and now you can stay on top of your health. Especially if you're a stress eater like me because law school can be stressful sometimes. iStudiez (free for the lite version, but I recommend the $4 pro version) is an app I love almost as much as Evernote, which is saying something. If you have an Apple Watch, there's a compilation you can use that will tell you when to leave to go to class, what classroom to go to, and while you're in class it has a countdown of how much time you have left (whether you didn't read or are starving, you'll realize how helpful this is). It also has a separate app in the Mac App Store that will keep your class schedule and reading assignment in the notifications bar, which is super handy. Mint (free) connects to your bank and shows you how much you have in your checking and spending accounts. It can show you were you spend most of your money on and help you be able to set a budget for yourself so that you don't go broke. It's the responsible thing to do. If you have a problem with sneaking your phone during class, Pocket Points (free) will help you break that habit. It uses your location to know when you're on campus and then you can use the app. You get 1 point for every minute that the app is open, and while it's open you can't text or scroll through your newsfeed. Then you can use your points to redeem prizes at local stores (I've used mine for BOGO at insomnia cookies!). So as it turns out, the way I study actually has a name and it's called the Pomodoro Method (lol I actually thought I made this up myself). Anyways, the Pomodoro app ($0.99) helps if you study like this because it will set a work timer and a break timer, and automatically switch between the two so you don't have to keep changing your timer. It also supports Apple Watch which is cool if you have one because then while you're off your phone, you can still use this app. 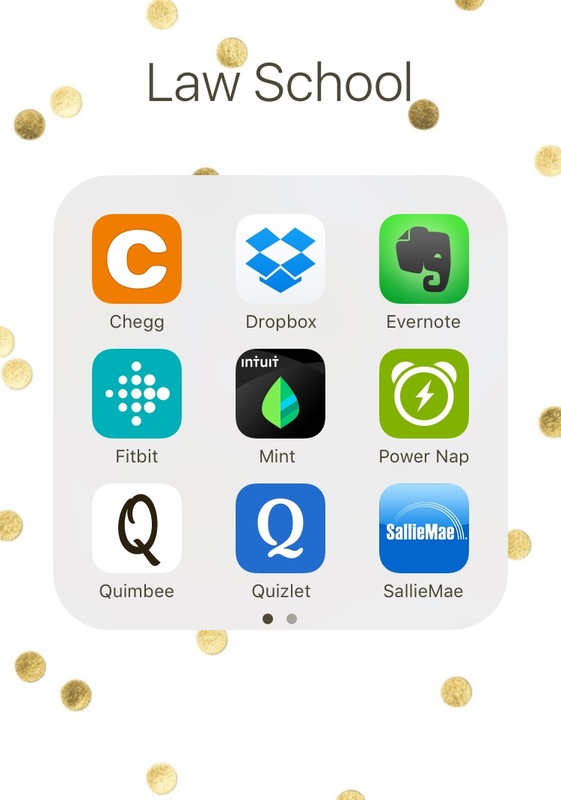 Power Nap ($1.99) is perfect for little dozes during study breaks. It's great because it waits until you're asleep to start the timer so if you take 15 minutes to fall asleep, you can still get a full 45 minute nap instead of being shortchanged. You set it for how long you want to sleep and it uses the motion of your phone to know where you're at in your sleep cycle so it can wake you up at the perfect time. 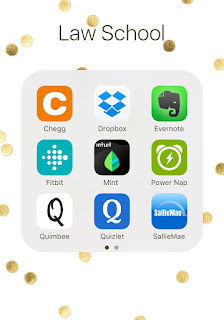 Quimbee (subscription required) is what me and a lot of other students use as a supplement. Their case briefs are so good that if you get a little lazy on your reading, they can catch you up. More importantly, their videos and quizzes really help when you're studying. Quizlet (free) is another app that I've been using since my freshman year of college because it just helps so much. It helps me to make flashcards with the elements to different rules so I can make sure that I have them memorized backwards and forwards. Sallie Mae (free) is who I got my student loans through. I am on there every month making payments towards my loan and checking on what I still owe. Right now I can't pay back very much, but I at least want to be doing something to tackle my debt. Even if you got a different loan, see if your bank has an app so you can monitor your loan too. Spotify (free) is my go-to when studying. I love how they come up with so many different playlists with themes like 'relaxation' and 'intense studying.' Having music in the background while I'm studying keeps me from getting distracted every time one of my neighbors is noisy. 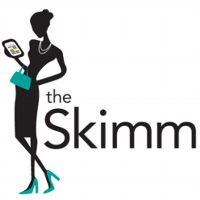 Ok, ok, so technically theSkimm (free) isn't an app, but you can use it through the email app of your choice so there. I just include this because in law school it actually helps to know what's going on in the world. This is because 1. it already feels like everyone around you sounds smarter than you so now you can sound smart too, 2. because law professors like to tie in what you're learning to the real world when they can, so if you don't know about a Supreme Court case being heard then you'll miss the reference, and 3. you're going to have to do some networking sometime soon so this gives you "oh I read it somewhere" things to say to keep the conversation interesting. 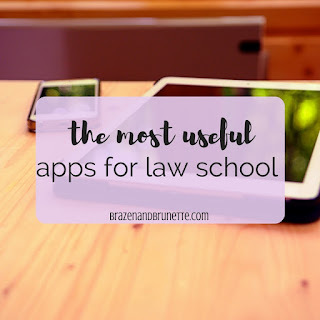 Unplugged (free) is another app that's good to keep you off your phone so you can finally study. You have to put your phone on airplane mode to use it, which is good because you won't be getting any texts or other notifications. While the app is in use it'll keep track of how long you go before you take if off airplane mode, and you can even set it to remind you to get off your phone every so often. These aren't apps, but they're features on my iPhone that I use every day. First there's Do Not Disturb (moon icon at top). Yes, it's great to keep your phone from waking you up when you friend drunk snapchats you 20 times at 1AM. 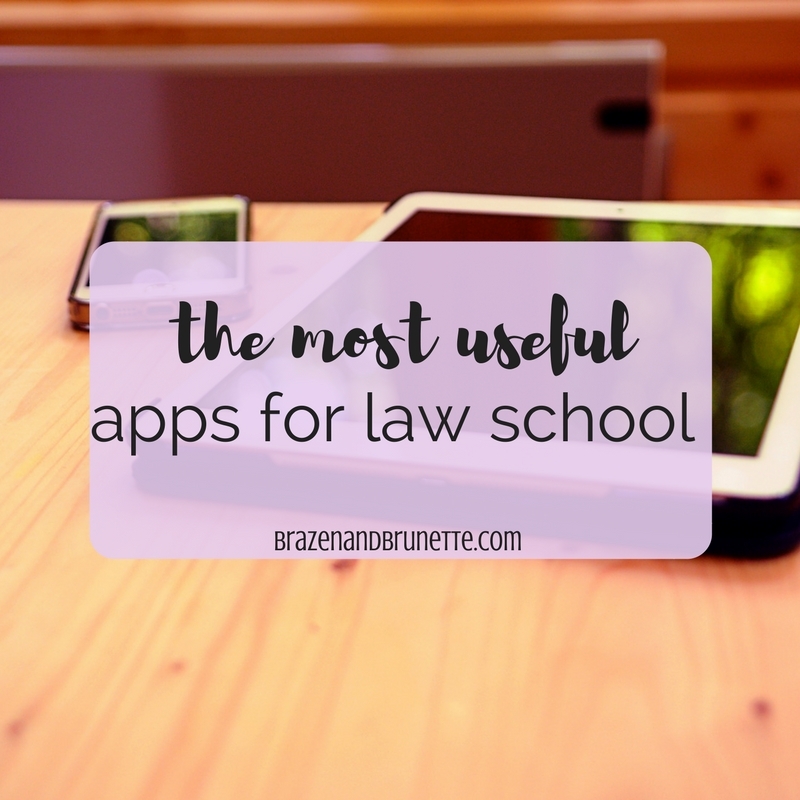 But for law school, it's great to just turn it on and not be distracted when you're in the study zone. Lastly, there's Night Shift (sun and moon icon on bottom). If you go into your brightness settings, you can have night shift turn on when the sun sets. With it on, your phone gets a slight yellow filter that blocks out the blue hues from your phone that messes with your sleep cycle. Essentially, it tries to keep your phone from making it harder for you to fall asleep.